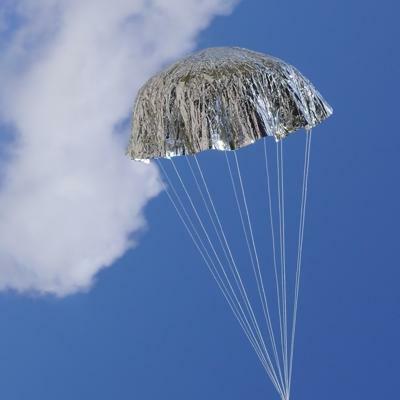 Our "Hang Time" Competition Parachutes feature thin and lightweight pre-cut 1/4 mil Aluminized Polyester canopies, pre - cut shroud lines, interlocking snap swivel & complete instructions. Want to fly some hen fruit? 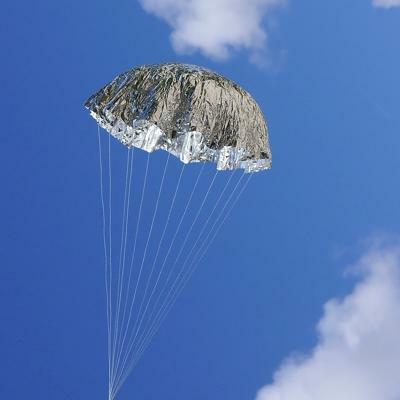 Try the "Over Easy" Competition Parachutes that are specifically designed for EggLoft Duration! Comes with pre - cut 1/4 mil Aluminized Polyester canopies, pre - cut "over the top" shroud lines, heavy-duty interlocking snap swivel & complete instructions. 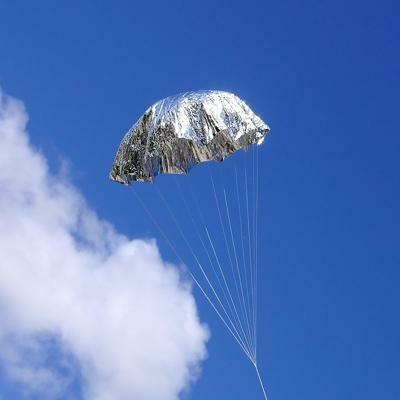 Can also be used as a normal comp parachute if needed. Construction is required for both types. Thin CA glue is recommended for construction. Need some help with egglofting parachutes? 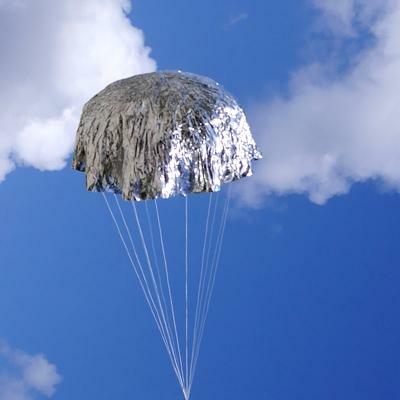 Read "Selecting Parachutes for Egglofting".